THURSDAY, March 10, 2016 (HealthDay News) -- A two-drug combo quickly shrinks certain breast cancer tumors before surgery or chemotherapy in some women, British researchers report. The specific breast cancer is called human epidermal growth factor receptor 2 (HER2) positive. The drug combination -- lapatinib (Tykerb) and trastuzumab (Herceptin) -- shrank HER2-positive tumors significantly in less than two weeks after diagnosis, the study authors said. In some cases, evidence of the cancers disappeared, the researchers added. "A combination of two anti-HER2 therapies -- Tykerb and Herceptin -- induce tumor regression or disappearance in 25 percent of HER2-positive cancers in 11 days," said lead researcher Dr. Nigel Bundred. He is a professor of surgical oncology at the University of Manchester in England. Potentially, women who respond to this treatment combination might be able to avoid chemotherapy, he suggested. "Instead of chemotherapy for six months and Herceptin for 12 months after surgery, it is likely that therapy and the duration of therapy can be tailored according to early responses," Bundred said. However, there are some drawbacks to the treatment. Side effects are common, including heart disease (reported in 5 percent), rashes and diarrhea (about 25 percent), Bundred noted. But women who respond to the drug combination will likely need less therapy and have fewer side effects overall, he explained. Both drugs are covered by most insurance plans, according to Dr. Eleonora Teplinsky, a medical oncologist with Northwell Health in Lake Success, N.Y. 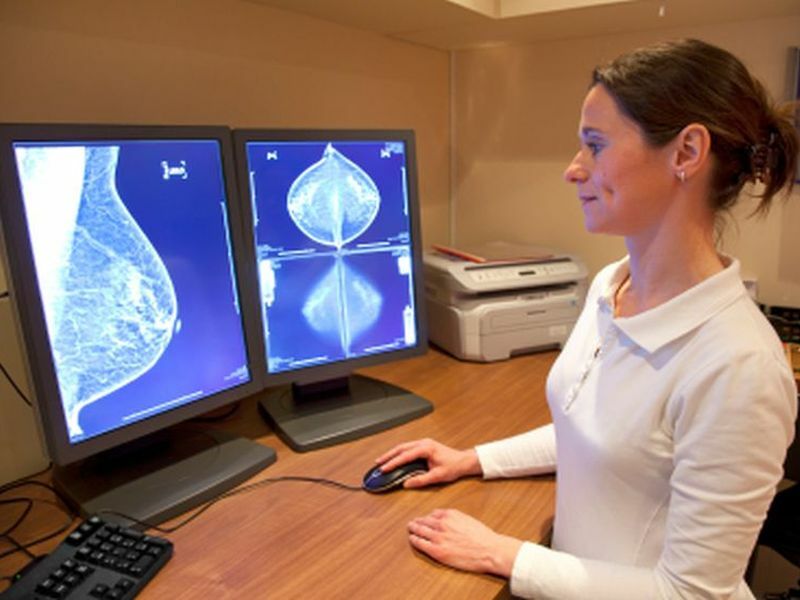 The results of the study were scheduled to be presented Thursday at the European Breast Cancer Conference in Amsterdam. Findings presented at meetings are generally viewed as preliminary until they've been published in a peer-reviewed journal. About one in five breast cancers is HER2 positive, according to the American Cancer Society (ACS). In these cancers, a gene mutation prompts the growth of cancer cells, and it is generally more aggressive than other types of breast cancer, the ACS says. In the first part of this two-part study, Bundred and colleagues randomly assigned 130 women with newly diagnosed, operable HER2-positive cancer to either Herceptin or Tykerb or neither of the drugs in the 11 days before surgery. However, based on results of other trials that suggested that both drugs together were more effective, Bundred's team randomly assigned another 127 women to no treatment, Herceptin alone or to Herceptin and Tykerb. To measure the effectiveness of the drugs, the researchers analyzed tissue from the tumors at the time of diagnosis, and again during surgery. The study found that 11 percent of the women in the second part of the trial who received combination treatment had what's called a pathological complete response. That means there's no evidence of active cancer cells after treatment. Another 17 percent of those on combination therapy had smaller tumors after treatment, the findings showed. In comparison, only 3 percent of the women given Herceptin alone had smaller tumors, the study found. None of the women on Herceptin alone had a pathological complete response. Women who responded to the combination treatment included women who had breast cancer that had spread to their lymph nodes, the study authors said. This approach uses two standard drugs and is an example of using licensed drugs in a new way to enhance response, Bundred said. Dr. Stephanie Bernik is chief of surgical oncology at Lenox Hill Hospital in New York City. She said that "this study was interesting because in a novel approach, Herceptin and Tykerb were given in between a patient's diagnosis and surgery." The findings raise the question if drugs should be given after a cancer diagnosis as a woman waits to have definitive surgery, she said. "If additional studies show similar results, it may alter how we treat patients right after diagnosis," said Bernik.